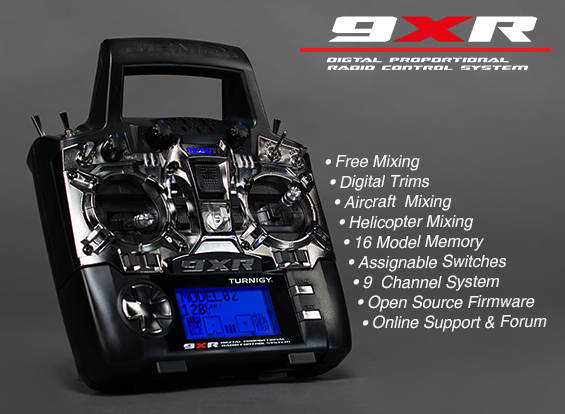 The NEW Turnigy 9XR with FrSky DJT is here! 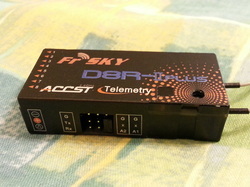 It comes with the FrSky DJT Tx Module and a matching 2-Way receiver. Mods provide ON-SCREEN telemetry and more! These are now available in limited quanties. It is very similar to the Turnigy 9X, including ON-SCREEN Telemetry from the DJT module (through the module interface) and 2-way receiver. This is the hottest package available! Be one of the first to get this amazing new radio with all these mods! Here's the recommended 3S 2200mAh Li-Po battery for the 9XR as well. Note that international orders cannot have the Lithium battery. Here you can see the radio booting up. Sorry about the glare, the screen looks much better than this picture shows. The radio is functionally identical to the 9X, making most of the mods and the firmware compatible as well. 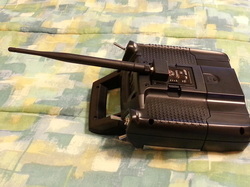 Here you can see the FrSky DJT module with the standard 2dB antenna plugged in to the 9XR. Here is the included 8-Channel receiver. There are two other models available. This model can have the firmware flashed upon request to make it equivalent to the D8R-XP which also has CPPM input and an RSSI output pin. 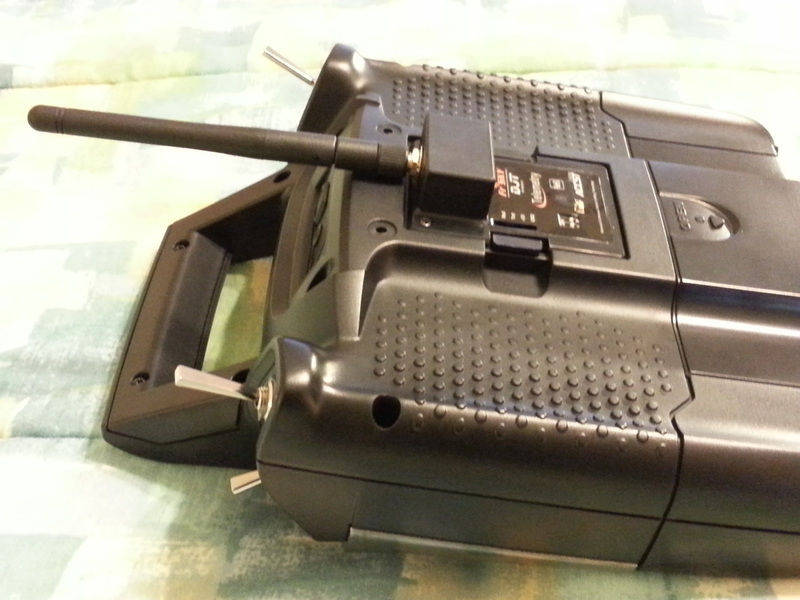 All receivers can measure BEC voltage, Pack voltage (with voltage ladder), and report RSSI and TSSI back to the 9XR. With the addition of optional sensors, it can report a number of other values including GPS, Altitude, and more! Here you can see the larger optional 5dB Omni Antenna for +3dB more signal. 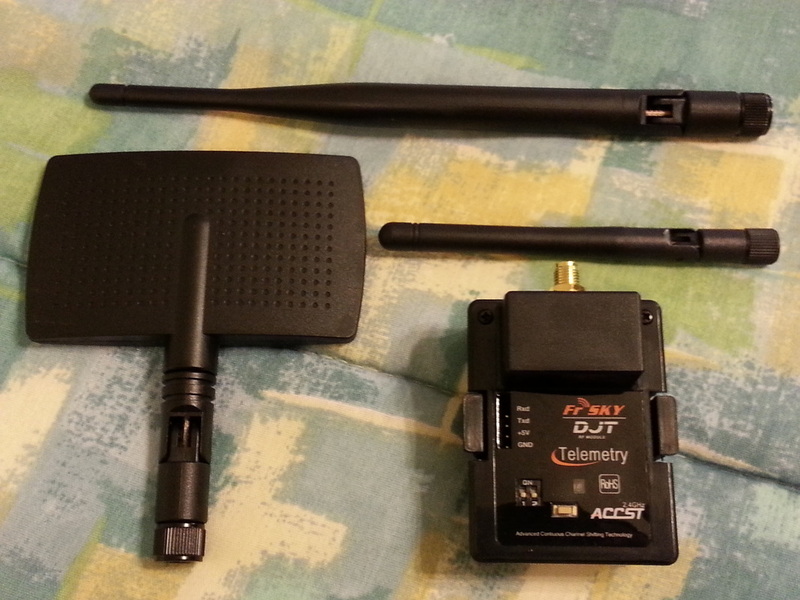 This means you can double your effective power output with this antenna (and double your reception as well). This doesn't equate to double range, but it is better. You can see the improvement using the RSSI/TSSI telemetry display on the 9XR. 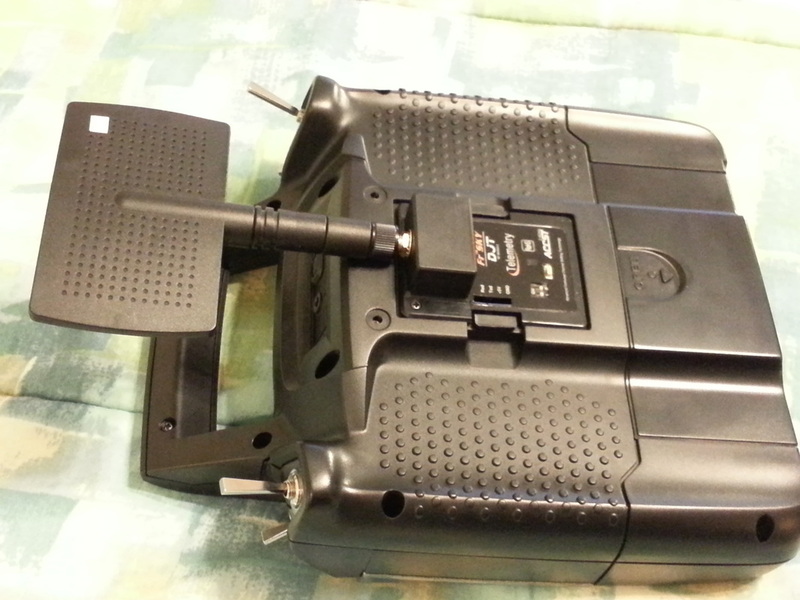 Here you can see the larger optional 7dB Patch Antenna for +7dB more signal. This means you can almost double your effective power output twice with this antenna (and same for your reception as well). This nearly equates to double range! You can see the improvement using the RSSI/TSSI telemetry dislpay on the 9XR. To give you a better idea of the options...all three bend up to 90 degrees at the joint and swivel back and forth. The small one (2dB gain) is included by default. 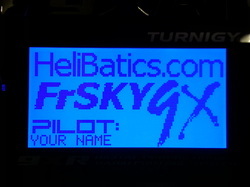 Here you can see the ER9X firmware Splash screen with the FrSky option. This is my custom splash screen, but the firmware is untouched ER9X. Current version at the time of this writing is R783. Unless otherwise requested, I will include the latest ER9X FrSky firmware with your radio order. 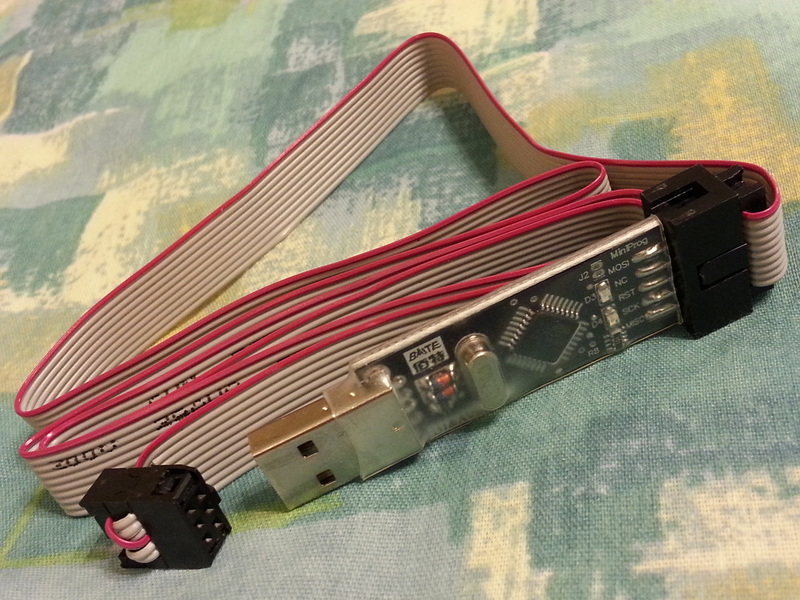 This is the USBASP programmer that is included. It comes with a 6-pin connector for the 9XR. Actual appearance may vary slightly. 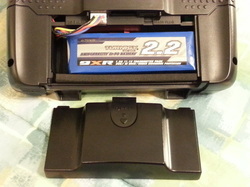 3S 2200mAh Li-Po battery specially designed for the 9XR.